So how you wanna do this? Bromance at it's best. 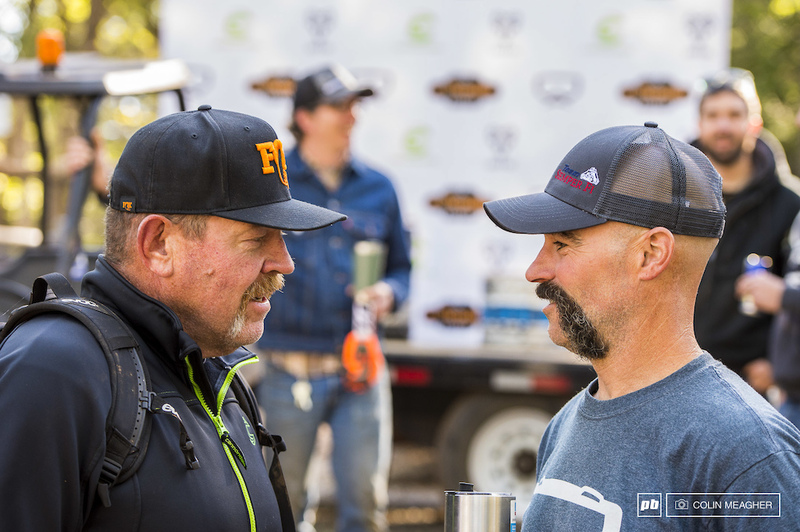 TDS is the brain child of these two tireless MTB racing advocates: Ron Sanchez and Mark Weir hashing out detais prior to the main event.